Use: shirt fabric , lungi , shorts , pajama ,kurta etc. Application: shirt ,lungies , shorts , pajama , kurta etc . We are offering Uniform S.kumar check to our clients. 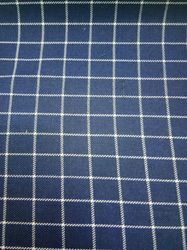 We have a large variety of check design fabrics used in lamination industry & for bag designing purposes. We are one of the leading names in the industry for offering a wide array of Rolex Check Fabric to our clients at reasonable rates. Owing to their trendy patterns, these are highly demanded. Width: 72", 44-45", 58-60", 35-36"